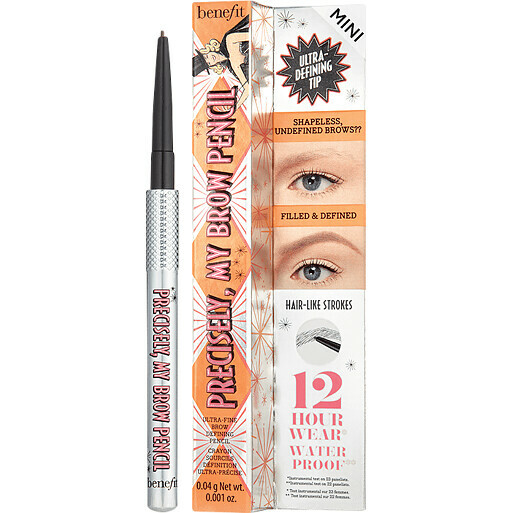 Shape and set your brows in place with the Benefit Precisely, My Brow Pencil Mini, a travel-sized brow pencil that’s quick and easy to use. The perfect tool for brows that are unruly and in need of definition, the Benefit Precisely, My Brow Pencil Mini’s ultra-fine tip creates hair-like strokes to mimic the appearance of a natural looking shape, and lasts up to 12 hours on the skin. 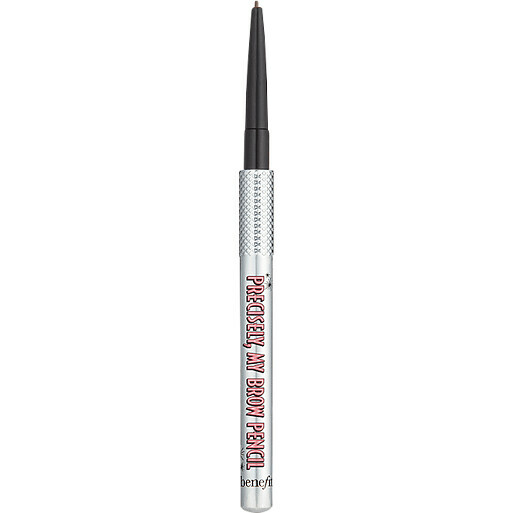 With its waterproof and blendable colour, the Benefit Precisely, My Brow Pencil Mini will keep brows looking beautifully defined no matter the weather, with no need to sharpen the tip. Start at the base of the brow and use tiny strokes to create hair-like flicks. 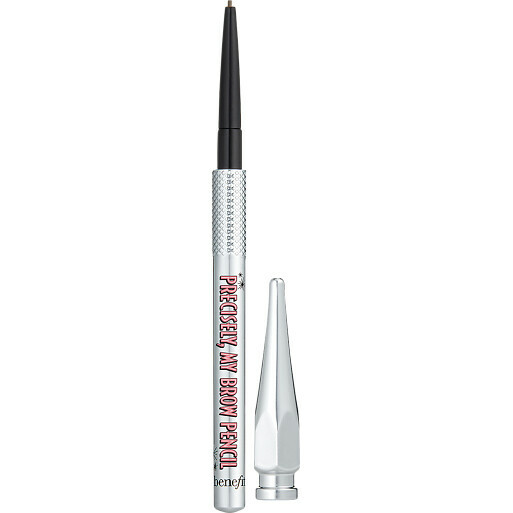 Draw in the direction of your existing brow hairs for a natural result. Shade 03: STEARIC ACID, RHUS SUCCEDANEA FRUIT WAX, HYDROGENATED CASTOR OIL, CERA ALBA (BEESWAX), CERA MICROCRISTALLINA (MICROCRYSTALLINE WAX), PARAFFINUM LIQUIDUM (MINERAL OIL), HYDROGENATED COCONUT OIL, HYDROGENATED PALM KERNEL OIL, ALUMINUM HYDROXIDE, HYDROGENATED PALM OIL, TOCOPHEROL, TALC, LECITHIN, BHT. [+/-: CI 19140 (YELLOW 5, YELLOW 5 LAKE), CI 42090 (BLUE 1 LAKE), CI 77007 (ULTRAMARINES), CI 77163 (BISMUTH OXYCHLORIDE), CI 77288 (CHROMIUM OXIDE GREENS), CI 77289 (CHROMIUM HYDROXIDE GREEN), CI 77491, CI 77492, CI 77499 (IRON OXIDES), CI 77510 (FERRIC FERROCYANIDE, FERRIC AMMONIUM FERROCYANIDE), CI 77742 (MANGANESE VIOLET), CI 77891 (TITANIUM DIOXIDE)]. N 09841/A.